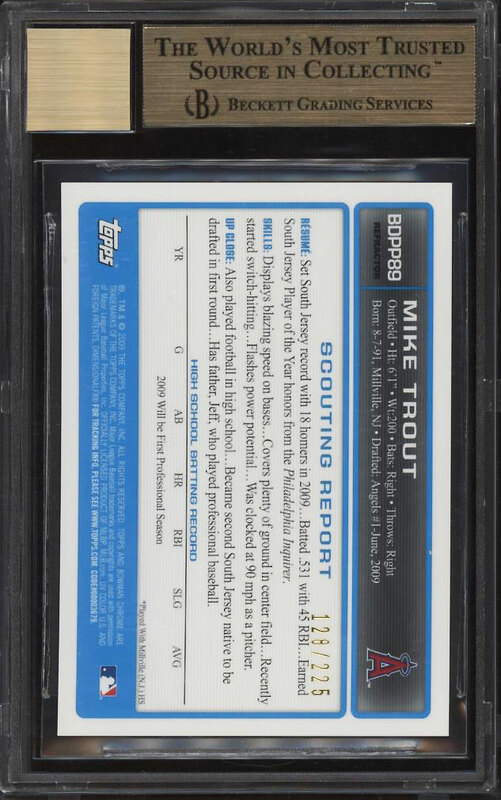 A mesmerizing Trout rookie up for bid this month. The offered X-fractor shows tremendous qualities throughout with GEM MINT centering, edges and surfaces. The corners are pin-point sharp and are seemingly worthy of a higher sub-grade. The x-fractor variation is an elusive issue which is limited to just 225 copies created. 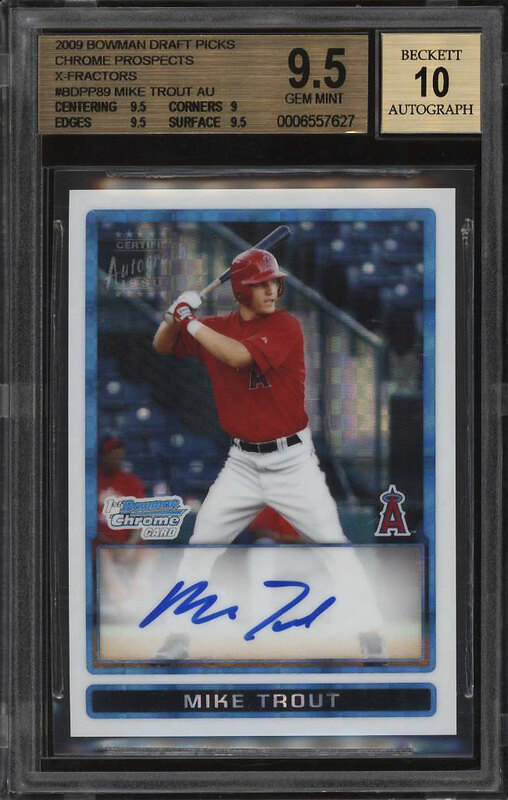 Boasts a pristine on card autograph to boot. A fantastic card which is very difficult to improve upon. One of over 15,000 cards, lots and sets up for bid in our 7th Auction of 2018. Click on the link above to view the other PWCC auction lots.